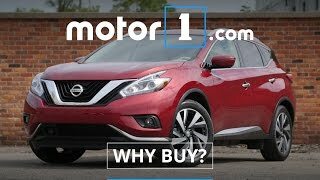 2017 Nissan Murano review of interior, exterior, wheels, tires, engine, transmission and 3rd row seat. 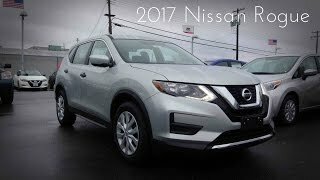 2017 Nissan Rogue review of interior, exterior, wheels, tires, engine, transmission and 3rd row seat. 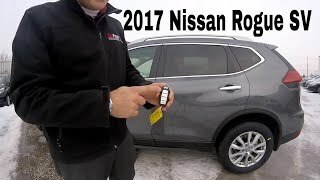 The new 2017 Nissan Rogue 0-60 is about 9 seconds and handling is around .8 g's of lateral acceleration. 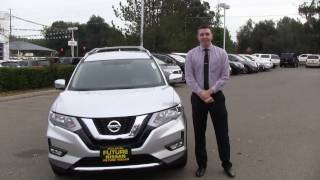 Kona Nissan sells new and used Nissan Rogue sport utilities to Kona, Waikoloa, Hilo, Puna, Captain Cook and across the Big Island of Hawaii. Kona Nissan service will service cars from Kona, Waikoloa, Hilo, Puna, Captain Cook and across the Big Island of Hawaii. Kona Nissan Hours are closed Sundays. Kona Nissan directions are next to the Queen K highway in Kona. 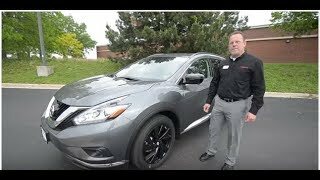 The Murano is genuinely one of the most stylish SUV's on the road. I rented a Rogue. I really thought about buying one but i can't get past the lack of power. Put in a few adults and it's almost not safe to merge onto the freeway unless there is no traffic. +Chicago1 You've got some great stuff...especially that '68 DeVille...and even more especially, the supercharged 'Vette! +Chicago1 The color is called Earthy Bronze and is about the same color as dirt in my estimation...but yes, it drives beautifully. +Chicago1 I have a weird anti-Hyundai vibe that's 100% my fault. Their Santa Fe is a turbo and it's really nice, but I still don't like it. Maybe it's the Earthy Bronze color, it just screams "rental car"
You have great taste Michaela. Thanks for taking a look and have a wonderful 2019! Even a 18 Platinum Murano is only $5,000 more than an 18 Rogue Platimum. I think that one might have been an SV Greg...as I remember it, there was a panorama moonroof and some other options as well. One thing to remember is that things can vary from different to REALLY different out here in Hawaii. I appreciate you taking a look, and happy holidays! +Greatness I wouldn't worry about that...any issues would have presented themselves right away. Your car is under powertrain warranty for a long time. Any issues that may pop up are totally unrelated to being abruptly put in park...and would be free under warranty anyway. +Greatness I wouldn't lose a ton of sleep on it, they actually are very nice and reliable transmissions. 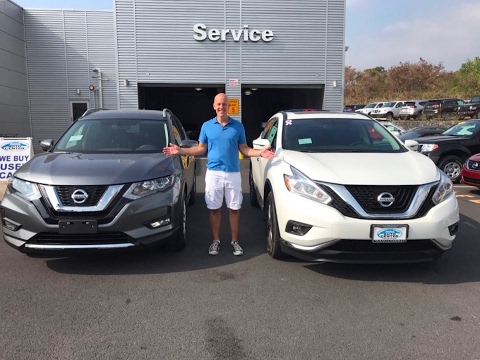 One big disadvantage with Nissan is they sell TONS of cars to rental car companies who might or might not ever service a particular car and get rid of the car when the warranty expires. People buy these cars cheap and inherit any problems caused by inadequate service. Honda, for example, sells virtually zero cars to rental car companies so they are much better at controlling any issues that come up. If you buy one new, you're likely to never have any issues so long as you do proper maintenance. Nope it's the other way around. I've driven both cars multiple times. 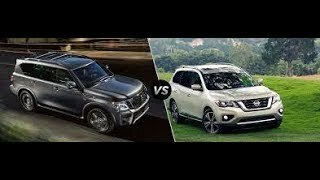 If that ever happens again, where you gas mileage is MUCH lower than what they claim...that is a warranty issue and can lead ro a lemon law buyback...not just Nissan, but any new car. 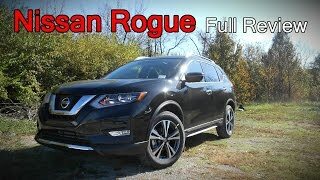 The Rogue is like the poor man's Murano. 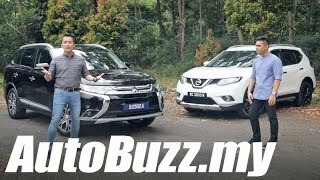 The power that you get from the 3.5L V6 in the Murano is well worth it more over the crappy 4-banger in the Rogue. 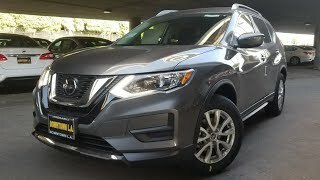 The people who buy Rogues who think they are buying something better then the Murano, are total fruitcakes probably hippies and those who smoke too much weed or vegan. 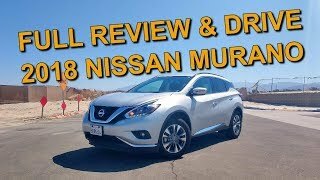 Great review but you can split fold the Murano as well. The Murano is my choice. Has to be the most comfortable and best riding SUV in the segment right now. Wasup Fool how’s the durability ? Aloha From Waianae hope is well, Love watching your videos! 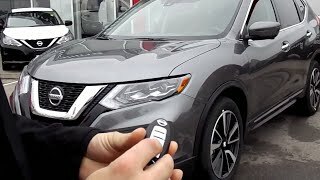 Quick question my wife owns a Nissan rogue 2016 and want to know how much longer is the Nissan Pathfinder if I’ll be able to fit it in my garage? Aloha Ronald, thanks for your question. The Pathfinder is a bit more than 16 inches longer than your Rogue, so it might be a snug fit in the garage. 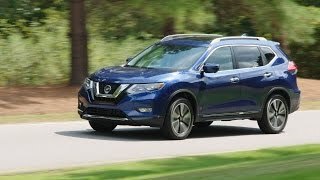 The Rogue is just over 182 inches long while the Pathfinder is over 198 inches long. Is anyone know how durable Nissan transmissions are? what about the longevity of the transmissions? I heard Nissan CVT had some issues in Nissan Altima models. Athar md my wife has an 08 Altima. we haven't had any trouble with the CVT transmission. What are the bottons on the bottom left side of the steering wheel? 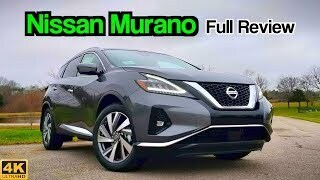 Murano is overrated big time, it does not have a high quality feel to it at all for the price point paid IMO. 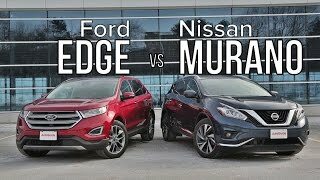 I would take the rogue, because they get better MPG and it easy to drive and park, the Murano is very expensive, ugly, and burns more fuel. 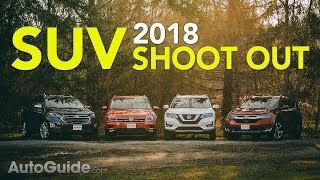 I just bought my first Rouge last Friday (2017.5 - SV) and love it so far! The only thing that concerns me a little, is that I'm having a hard time finding a decent seat position for me in the drivers seat. I have a lower disc problem. If anyone has a good suggestion of where I can position the drivers seat, I'd love to hear it. Mario McQuay I'm not sure if sv has this but I know my sl does but it's a button on the left side where it adds lumbar support..works great! 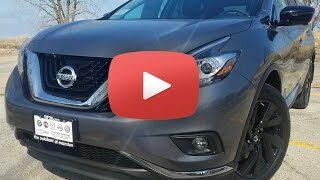 My wife and I just got a 2017.5 Rogue and it fits all 5 of us easily and gets great gas mileage so far. Keeping it at or below 60mph we’ve gotten an average of 35. It’s not as roomy as our Expedition, however I enjoy it greatly so far and our local dealership has a life time warranty if you service it through a certified shop. Even the tires are covered until 2022 reguardless of miles. Overall it seemed like a great deal for us. 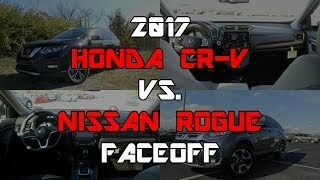 I had a chance to test drive both plus a Honda Pilot. For starters, I'm 5'10, 150lb fem. The rogue is simply too small for me. 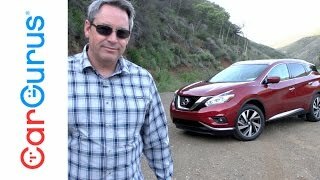 The murano doesn't have that 4-cylinder acceleration lag that the rogue has. I've owned 3 cars in my lifetime. There is a huge difference in acceleration between a 4cyl and a 6cyl. A 6cyl accelerates very quickly when merging onto highway. This is very important. Pilot-I loved the Honda Pilot. But it's too expensive. Why does the 3rd row seat in the Rogue look like you have to sit Indian style? Leg room looks non-existent in the 3rd row. Where the hell do you put your feet? Dizzle Keep in mind the middle seats were all the way to the rear. However it’s really small, definitely for children. 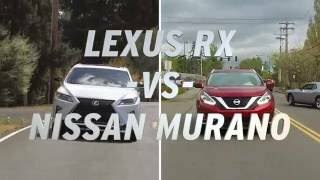 Can you tow with the Murano?